Intimidation and abuse is causing MPs to change the way they vote in key Brexit clashes because they are "frightened for their own safety", Labour's deputy leader has said. Tom Watson said political leaders needed to act against the "threats of violence and intimidation" aimed at politicians after a wave of hate-fuelled incidents outside parliament and social media. Amid a febrile atmosphere in Westminster, Tory MP Anna Soubry was branded a "Nazi" and verbally abused by protesters while doing media interviews last month, while several prominent journalists and campaigners were also harassed. 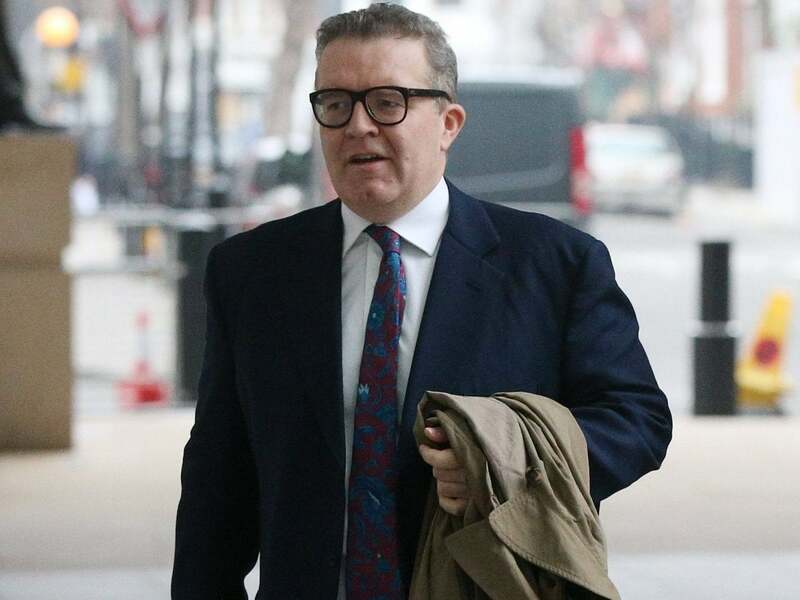 Mr Watson also railed against the treatment of his fellow MP Luciana Berger, a vocal critic of the Labour's handling of antisemitism, who was facing no-confidence motions from her local party until action was dropped amid a furious backlash. Asked about the threats made to MPs in recent weeks, Mr Watson told the Andrew Marr Show: "Well, I know of one MP who has confidentially told me that they changed their vote on one particular key vote because they felt frightened for their own safety. "You know, when you get to that point, you know, I would just say to people involved in politics, remember it's in the last few years that we've had a dear and valued colleague that has been assassinated by a far-right fanatic. "So MPs are intimidated. And it's really important that political leaders stand up and say we are not going to accept these threats of violence and intimidation, because it erodes our democracy and it's going to drive good people who want to change the world out of politics, and nobody wants that." The shadow cabinet member called for an overhaul of police protection offered to MPs "based on the threat level rather than the position they hold" in parliament. Mr Watson also said Labour bosses would be investigating Wavertree Consituency Labour Party (CLP) after he accused them of "bullying" Ms Berger, who is eight-months pregnant. He said: "[Jennie Formby, Labour's general secretary] has also confirmed to me that she is investigating members in that constituency, and actually I’ve had another complaint this evening that I need to follow up later today. "So it does seem to me there are grounds for a suspension. "I can only repeat again, I think Luciana is being bullied and there are local members in Liverpool Wavertree responsible for that, and others, and that is unacceptable and it is incumbent on political leaders to make sure that doesn’t happen." Wavertree CLP’s executive said they “strongly reject the media inaccuracies and the accusations of political bullying, for simply adhering to party rules and doing our jobs”. They said they had “no control over motions submitted by CLP members”, and expressed "total solidarity with Luciana as a victim of misogyny and of antisemitism – coming mostly from the far right." “Our chair is himself Jewish and the suggestion that the CLP executive is in any way a party to bullying and antisemitism is a false and slanderous accusation," they added. Elsewhere, shadow health secretary Jon Ashworth admitted Labour must "go further and faster" to tackle antisemitism in its ranks. "It's clear we need to go further and faster on dealing with antisemitism in the Labour Party," he told Sophy Ridge on Sunday. "One antisemite in the Labour Party is one too many." The frontbencher added: "No, it's not impossible to eradicate it from the Labour Party, and John McDonnell has said that as well, so there's no disagreement between me and John McDonnell and Jeremy Corbyn on this."